This is a flight from my recent posts and back to exploring new dishes. Back at Christmas my brother gave me a big hardback copy of Indochine, Baguettes and banh mi: finding France in Vietnam by Luke Nguyen. 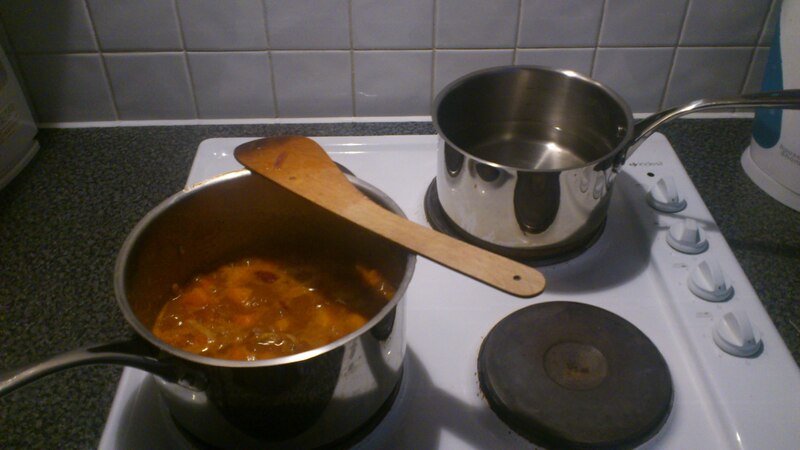 I have spent some lovely evenings curled up with it since but this is the first recipe I have prepared from it. Its an interesting idea for a cook book as Vietnam was a French colony for 60 years between 1885 and 1945. Although Vietnam’s inclusion in French Indochine was relatively short lived it did have a big impact on the country. In cities such as Ho Chi Minh (formerly Saigon) and the mountain town of Da Lat.The book was a really thoughtful gift as I love the cuisine of both. Whilst I have been to France on several occasions I have also been lucky enough to have visited Vietnam. It was quite a few years ago now when I was just 19 and on a summer holiday from university. A friend and I backpacked through South-East Asia beginning in Vietnam then going on to Laos and finishing in Thailand. I wish I could share some pictures from my time in Vietnam, but it was back in the days before digital cameras, back when all my picture were on camera film! Many of the buildings in the towns and cities were built during the French occupation and are designed in a wonderful classically French colonial style. The French impact went beyond the architecture and infused Vietnamese culture with recipes and cooking styles. Unlike many Asian countries in Vietnam breakfast has strong black coffee and freshly baked baguettes which is just what you need! I had a lot of really good food out there and whilst the influence of French cooking was not always obvious I could see it in many of the dishes. Serves two as a main course or 4 – 6 as part of a sharing platter with some other lovely treats. 200g mixed beans (the recipe calls for broad beans but I used a can of oriental bean mix and worked well). fine egg noodles to serve it with. On a chopping board slice the pork cutlets length ways into long thin strips. In a mixing bowl combine the chopped onion and garlic with the soy sauce, fish sauce, sugar and black pepper. Stir well. Add the sliced pork and coat in the marinade. Cover with cling film and pop it in the fridge for 1 hour. After an hour put on a large saucepan, melt the butter and add the oil. 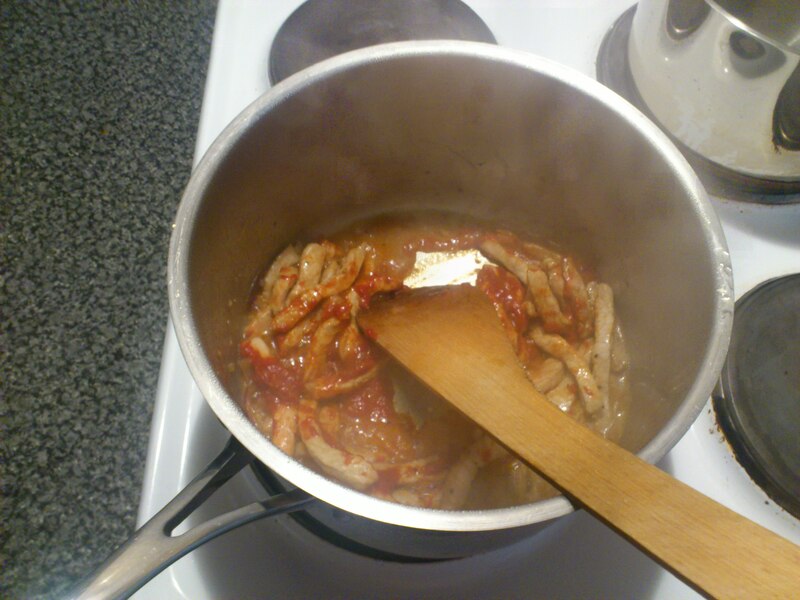 When hot remove the pork from the marinade (reserving the marinade for later) and add it to the pan. Brown on all sides. 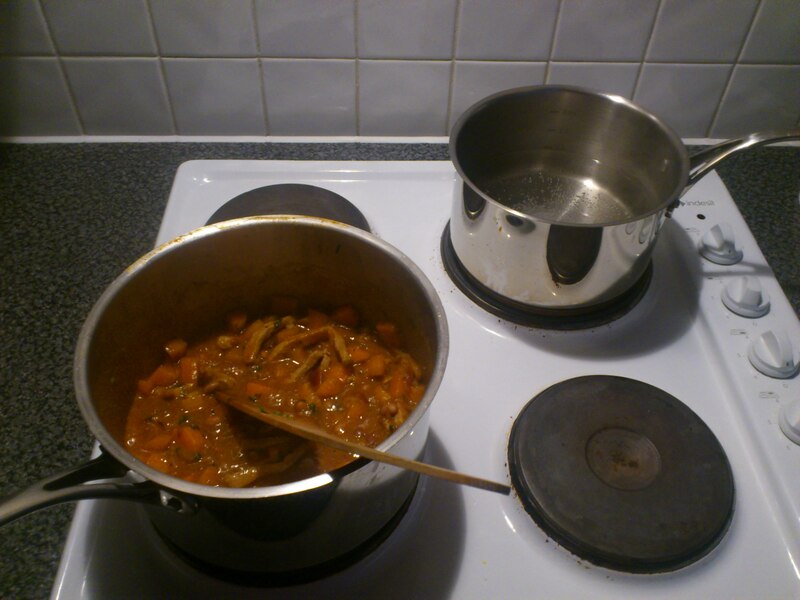 Add the tomato puree, stir and add the carrots and which ever beans you are using then stir again. Add the reserved marinade and the coconut water. Bring it to the boil then reduce the heat and simmer for 15 minutes. Make sure the pork is cooked through before serving. Pop on a pan of water and boil the fine noodles according to pack instructions, usually 3-5 minutes. 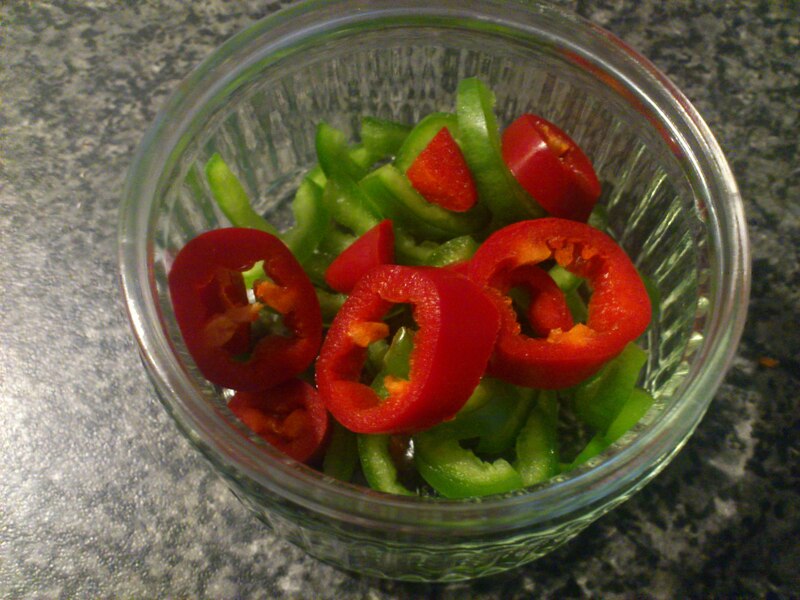 Chop the chilies and pop them in a little dipping dish (or a ramekin as I used). Pour in enough soy sauce to cover them and give it a little stir. Thanks for all the likes on this post. I really enjoyed cooking this meal and recommend it to you all. Very tasty!